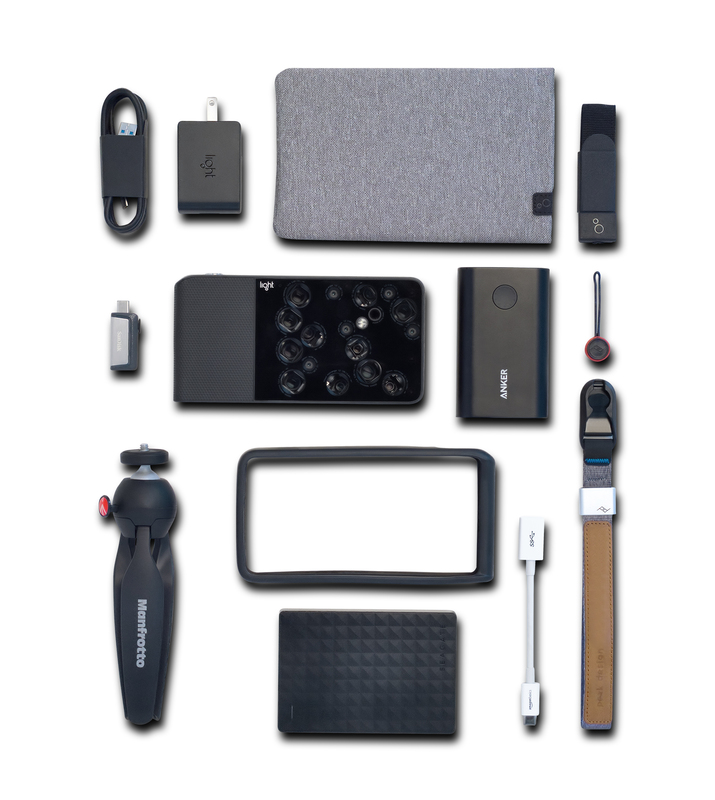 Everything you need to complete your Light L16 kit. As the photographers behind one of the most powerful yet most compact cameras ever made, we will be the first ones to say that gear isn’t everything. (Who needs dozens of bulky lenses when you have 16 built in, right?) That said, the L16 camera is simply so unusual, you may want to update and swap out certain parts of your standard kit. That old, 25-pound camera bag, for example, is the first thing you can leave in your closet. We’ve been testing the L16 for months, and by now, we know exactly what you need to make your new Light L16 kit complete. Here are 15 of our favorite accessories that will bring your L16 photography to the next level. Even though we love the sleek black strap that comes with the L16, we also know that some folks like to have a little flair on their wrists. One of our favorites is the soft and simple Peak Design cuff*. With Peak Design’s anchor-link system, the strap cinches to your wrist, keeping your L16 safe and sound. A wrist strap is just one layer of protection—and for a camera as sharp as the L16, we recommend at least two. For a more serious safeguard, we recommend storing your camera inside the Peak Design Field Pouch*, which you can sling around your shoulder or attach to your belt. Though if you prefer a smaller option to stick inside a purse or larger bag, we’d point you to the MoKo sleeve. When you’re trekking and don’t have the time or the patience to take off your pack when you want to snap a picture, the Peak Design capture clips* come in handy. The clip’s quick-release locking action allows you to attach the L16 directly to the strap of a backpack or messenger bag. We honestly don’t travel without it. If you have slippery fingers (like some of us), you will definitely want this impact-resistant protective shield to keep your camera—and your memories—intact. Even one little drop can skew the alignment of the L16’s camera modules, so we recommend adding the Utomic BUMPER to guard it from any bumps and shocks. Note: If you buy this Bumper, know that you may have to also buy a new camera case. 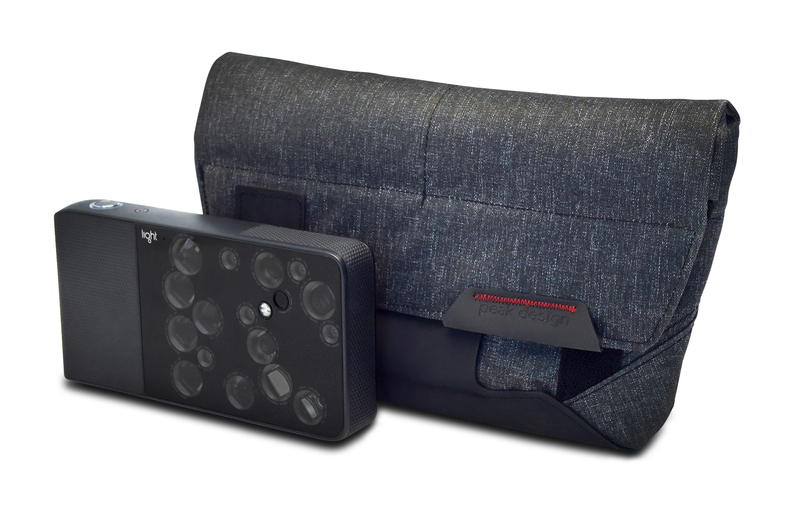 With the bumper on, the L16 has a hard time fitting into the Light pouch, as well as the suggested MoKo case above. 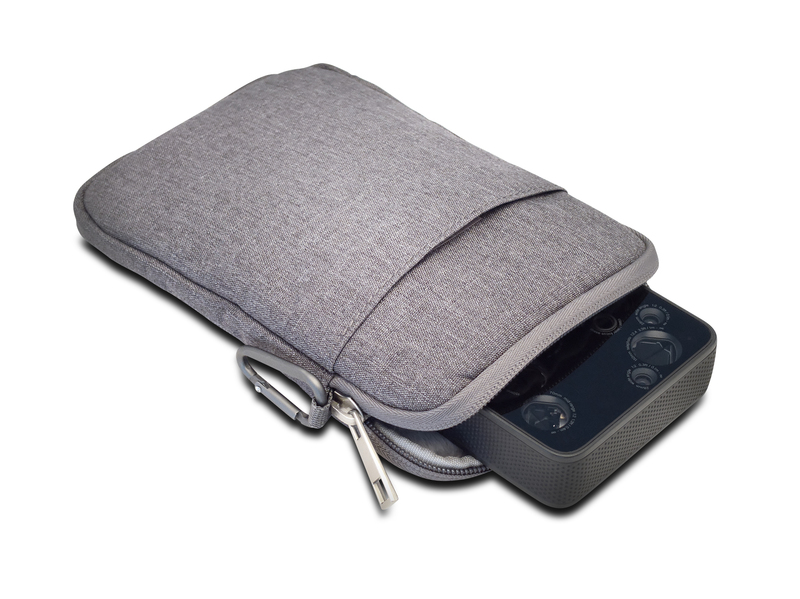 The recommended case for the L16 with the bumper attached is the Peak Design Field Pouch*. It’s hard enough to keep your smartphone screen scratch-free—the L16 brings scratch and smudge potential to a whole new level. Utomic GLASS is the answer. 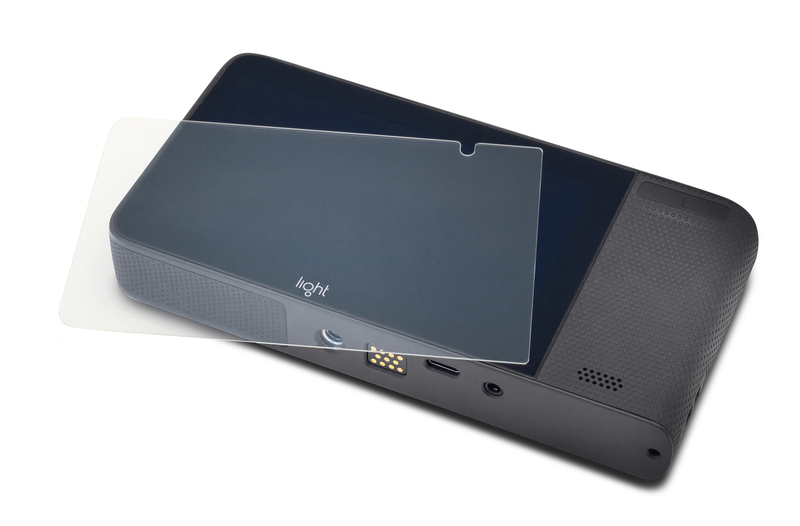 Made out of thin, Japanese Asahi glass, this durable, protective layer shields the L16’s touchscreen from scratches and dirt—and keeps your camera looking as good as new. For the best longer exposures, a tripod is often necessary—but no one wants to lug around all that extra gear when your camera fits in your pocket. 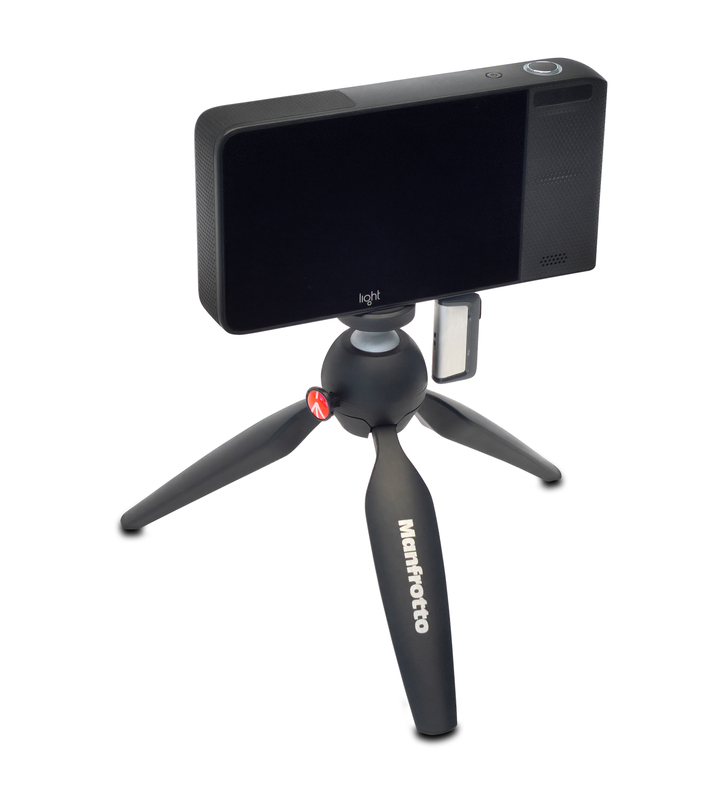 The smallest solution we’ve found is the Manfrotto MTPIXI-B PIXI Mini Tripod. The JOBY GorillaPod Hybrid is another easy, lightweight option. 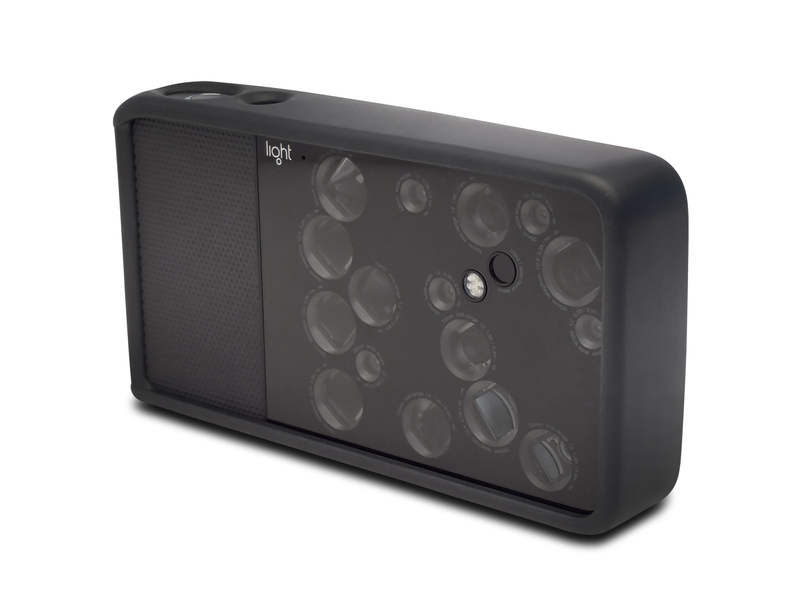 The L16 can hold more than 1,000 images, but sometimes even that is not enough for pros. If you know you won’t have your laptop handy to transfer images, we recommend carrying a USB-C drive. The SanDisk Ultra Drive USB C is our top pick. With 256 GB, it doubles your storage in a tiny form factor. If you don’t care as much about the GB, opt for something like the Silicon Power Flash Drive, which also includes USB-A and USB-C for easy computer transfers. We built the L16 camera to last for at least a full day of shooting, but we also know how hard it can be to find an outlet when you’re in the field for days. 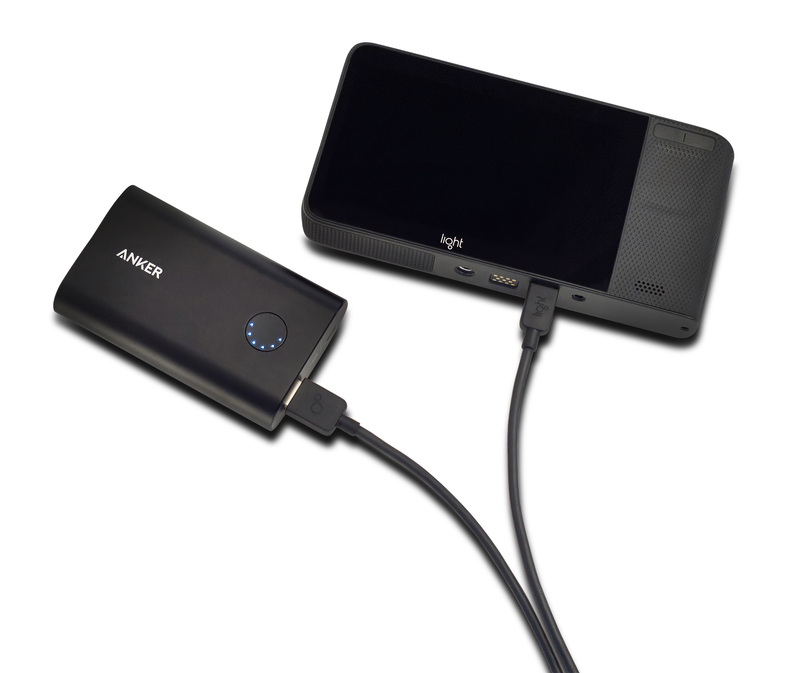 Our go-to solution is the Anker PowerCore+ 10050 Premium Portable Charger. This charger is not only fast but small enough to carry around. That said, pretty much any charger that supports Qualcomm QuickCharge 3 works well. 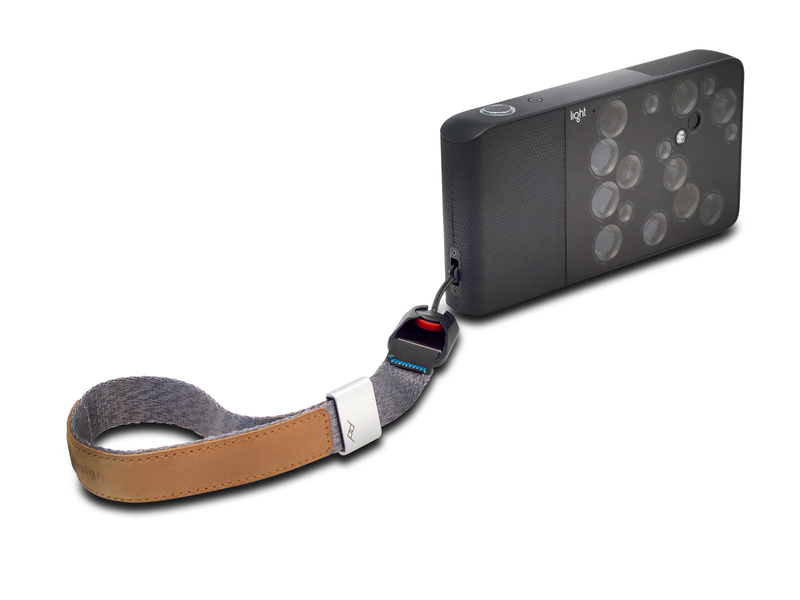 Looking for an easy, hands-free capture remote? We've found your answer. 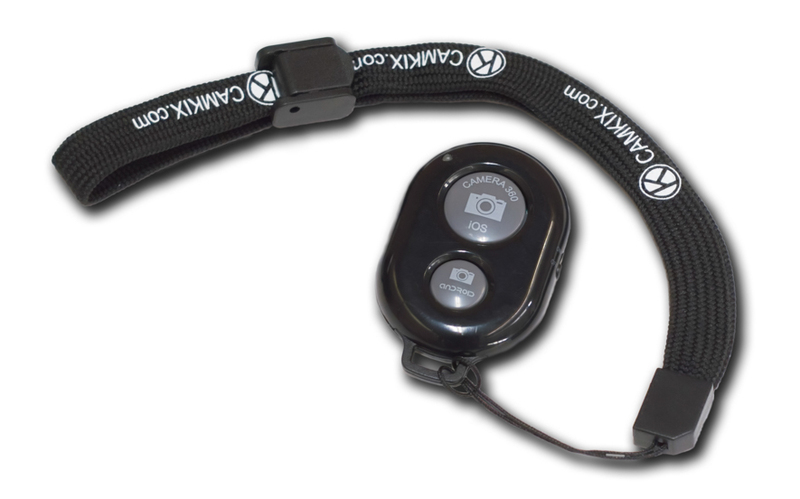 The CamKix Wireless Bluetooth Remote Shutter Control is all you need to capture beautiful photos from a distance. This tiny device fits conveniently on your keychain and can operate from as far as 30 feet away. Bonus: It's compatible with your iPhone and Android smartphones too.  *Light customers get a discount on their Peak Design order when using the affiliate links above.